Payment by Pay Pal or by bank transfer. Katyani Exports is a well established group engaged in manufacturing of Natural Essential Oils, Spice Oils, Carrier Oils, Mint Oils and Floral Absolutes on a large scale. The company has two manufacturing units one is near orcha district in Madhya Pradesh for distillation of Essential Oils like Cypriol, Ajowain Oil, Cumin Oil, Dill Seed Oil, Carrot Seed Oil, Juniper Berry Oil, Sugandh Mantri Oil, Valerian Root Oil, etc. 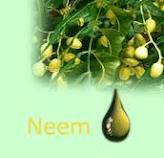 and other unit is in Mandsaur (Madhya Pradesh) for manufacturing of Herbal Extracts and Oleoresins. Our products are exported across the globe and we have firm presence in Europe, Asia, North America, Middle East etc. and continuing to expand through out world by serving products of International standards. Katyani Exports is an ISO 9001: 2008 certified company and GMP accreted company. We have an ultra modern lab with Gas cartography and all our products comes with proper lab reports like Certificate of Analysis, MSDS, Gas Chromatography etc.